Newark is located in New Jersey and across its area 277, 140 people live. This makes the city of Newark the sixty-eighth largest city in the U.S.
Newark is located approximately 13 km from Manhattan. It is located near the Atlantic Ocean, which has helped the city become a hub for the shipping industry. The city has Newark Liberty International Airport, which is known as the first commercial municipal airport in the United States. The city of Newark has campuses of many prestigious schools. City of Newark was founded in 1666 by Puritans from Connecticut, who arrived at the place of the New Haven Colony. The city grew with lightning pace and the population grew rapidly during the nineteenth century and early twentieth century. Newark should have been recognized as a city as early as 1693, but the procedure is postponed to 1713. Parts of the city passed to other neighboring cities such as Springfield and Orange. Newark was reincorporated as a city in 1836, after a referendum in the same year. The city Vailsburg borough was annexed to the territory of Newark in 1905. In the nineteenth century, the central part of the city was inhabited by Germans. They were later replaced by Jews, and they in turn were replaced by blacks. Historic buildings left over from centuries ago, were restored to life. 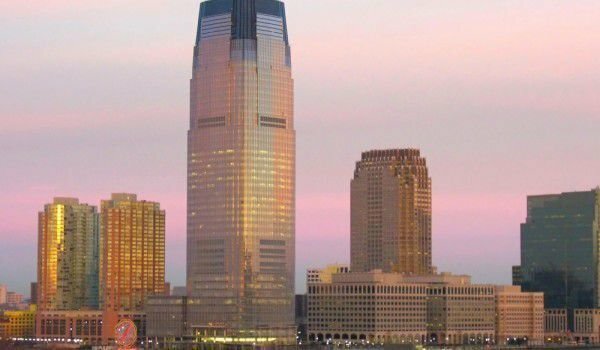 The city is home of the Institute of Technology in New Jersey and Rutgars University - Newark. In the southern side of the city neighborhoods are formed by African-Americans, Puerto Ricans and Dominicans. On this territory is located the second largest hospital of the city- Newark Beth Israel Medical Center. During the nineties of the twentieth century the city was undergoing restoration.